What happens if I install more than one SEO plugin on my WordPress? Does it improve the SEO of my website if I install all the SEO plugins available? It sounds silly, but I’m sure someone has asked you this question before. So why not answer it today in this post? The more, the better, right? More horsepower, more megapixels, more gigahertz, more square feet, more dollars… is always better. The industry knows how complex it is today to compare two different products or services, so it all comes down to comparing a couple of numbers to make life easier for the user. We always want more, but…. is “more” better? Source: Giphy. But when it comes to WordPress plugins, less is more. And that comes from someone who sells plugins for a living (check them out, they’re not only useful, but they also help us to write cool content like this one you’re reading). Remember that you must have the minimum number of active plugins that cover all your needs. No more, no less. This is the mantra that any quality WordPress professional will repeat over and over again. But, going back to the beginning, does installing more SEO plugins in a WordPress installation improve SEO or not? Let’s analyze this situation step by step. If you search for the SEO keyword in the WordPress plugin directory you’ll find lots of results (245 pages at the time of writing this article). Although not all of them are strictly SEO plugins, we’ll focus on the 6 most popular SEO plugins to experiment and see what happens when we activate them all at the same time in the same WordPress. The most important SEO plugins you will find in the WordPress plugin directory. Yoast SEO: The most popular SEO plugin for WordPress. Since 2008 it has been accumulating users thanks to its simplicity and traffic light colors that indicate the quality of the content from an SEO point of view. It is clear that Yoast has been able to dominate the WordPress market, contributing to the development of the platform and collaborating as a sponsor in many WordCamps and other events. All in One SEO Pack: After Yoast, this is the most used SEO plugin in WordPress. It was usually said to be more complex but more powerful if you knew how to configure it well. But after the tests, I must say that it has been quite simplified. It’s not scary as it used to be, so it’s another good option for most people. The SEO Framework: Another generic SEO plugin for WordPress. Apparently lighter and less annoying than the other two, but also much less popular. SEO SQUIRRLY™: This plugin is becoming quite popular and includes in addition to the usual functions of the other plugins, a keyword searcher and SEO analyzers of your content. It’s a freemium version that you can use for free but also allows you to upgrade to the even more complete paid version. SEO Ultimate: This SEO plugin is the third in the ranking of active installations, but has not been updated for a while (more than 2 years), so it’s losing momentum and interest as its developers have focused on the paid version and have left the free version a little abandoned. WP Meta SEO: We finish the selection with this SEO plugin, which in addition to the typical functions adds support for editing the names of the images in the media library and their metadata. It is also compatible with Gutenberg (or so they say in the description). Now it is when the thing gets interesting. We will install these 6 SEO plugins for WordPress in the same installation. To do this we created a new empty WordPress installation (using Local by Flywheel, which I highly recommend), with the default TwentySeventeen theme and no more plugins. After installing and activating the 6 SEO plugins we have the following list of WordPress plugins. It’s funny to see that the WP Meta SEO plugin detects that you already have Yoast SEO or All in One SEO Pack installed and asks you to disable them to avoid problems. It also proposes you to migrate the data from these plugins. In addition, the SEO Ultimate plugin is the one that adds the red message below Yoast SEO indicating that you may have conflicts and that you should disable Yoast SEO to avoid them. For testing I have not configured anything in any plugin, which I have assumed should be the usual behavior of a typical user. The exception is SEO SQUIRRLY™, which requires you to sign up for it to work. So far, there is no problem other than some plugins letting you know that they might be incompatible with each other. So let’s move on to the next stage! To see if installing 6 SEO plugins in the same WordPress is a problem, let’s check the usability when editing a post and the performance when loading it. 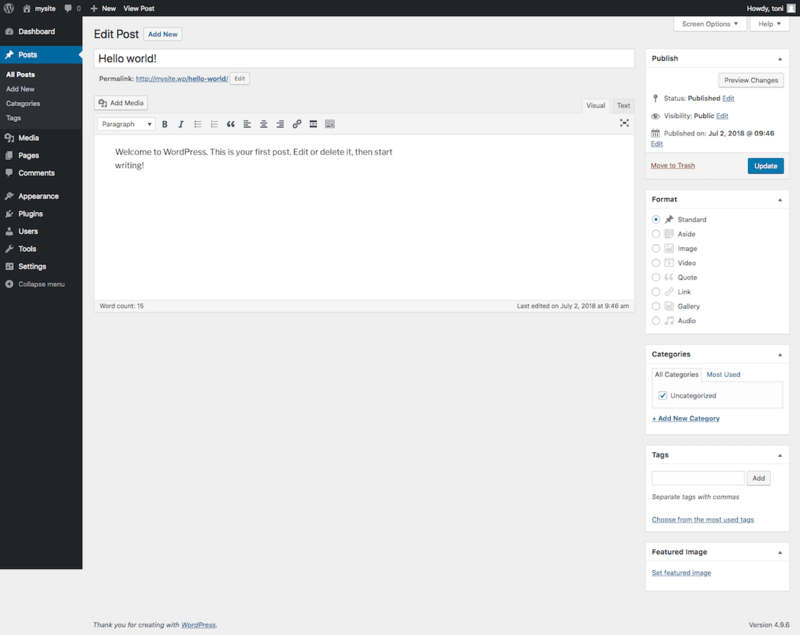 WordPress post editor with no plugin activated. The design is clean and simple. WordPress post editor with all 6 SEO plugins activated. The user experience is clearly worsened. It is worth noting here that the SEO plugin SQUIRRLY™ is perhaps the most annoying of all, since its metaboxes do not follow 100% the WordPress style, trying to stand out from the rest and placing themselves even above the content editor’s own metabox. 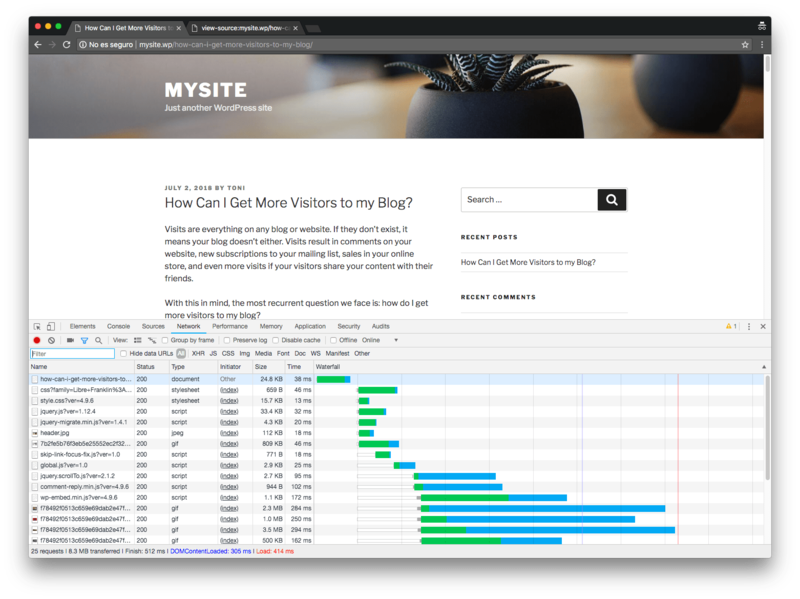 Just compare the two screenshots to see that the user experience when editing in WordPress with 6 SEO plugins activated at the same time is worse. Let’s talk about performance now. SEO plugins affect the front end of the web by adding meta-information to your post so that search engines are able to index content better. So the question here is: how much does this affect your performance? 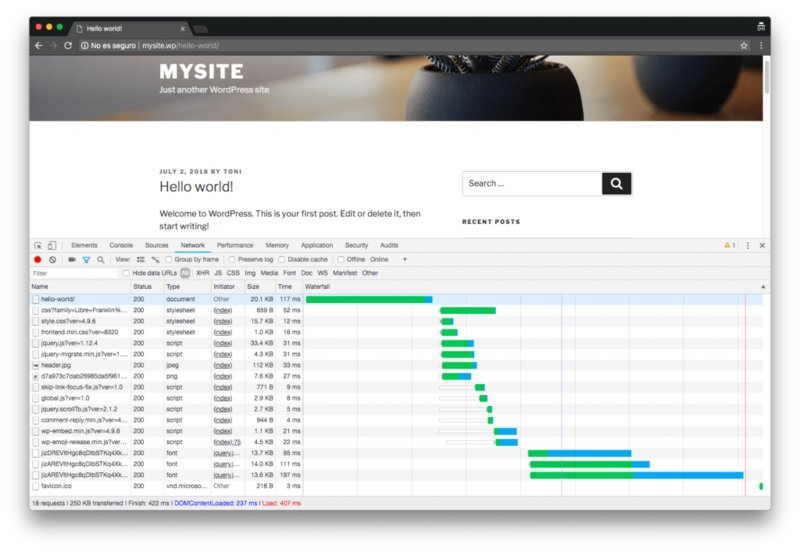 If we don’t have plugins activated and we visit the default post that includes WordPress and inspect the loading time, we see that it makes 17 requests to the server to download the necessary scripts, fonts, and styles transferring 248 KB to the browser in 215 milliseconds. Default load times in WordPress without plugins installed. Now we activate the 6 SEO plugins and reload the post and analyze the data. Curiously, there is one more request to the server. This is a CSS style that the SEO plugin SQUIRRLY™ adds 🤷. The page weights now 250 KB, but the loading time has increased up to 422 milliseconds. What happened? 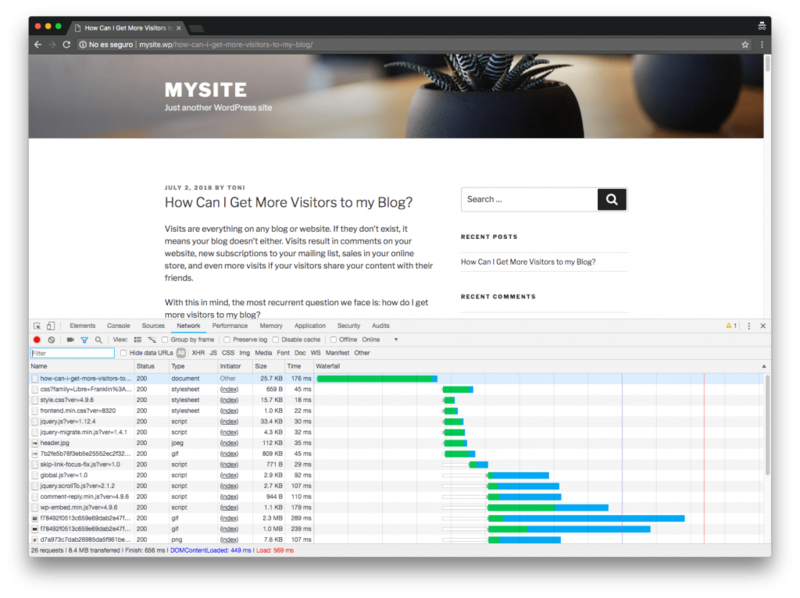 Default load times in WordPress with the 6 SEO plugins installed. We have doubled the loading time of the website, only by activating the 6 SEO plugins. If we analyze all this in more detail, we see that the cause is in fact that these 6 plugins need to run when loading the post, which directly affects the server’s Time To First Byte (TTFB). The TTFB is the time it takes for a browser to receive the first piece of information from a web server after it requests it. SEO plugins add meta-information, and this causes increased web loading times. Comparison of TTFB without plugins and with all 6 SEO plugins activated. Therefore, no matter if there are functionality problems when installing 6 SEO plugins in the same WordPress—in the end, all plugins serve the same purpose, but having them all activated makes our website way slower. So we confirmed here that more plugins result in slower loading time. So yeah, in WordPress less is more. We’re going to do the same now but this time with a real post from our blog, which includes much more text, a featured image, and several animated GIFs in the content. In terms of usability we are just as bad as before. Now, if we have 6 plugins that add 8 metaboxes in our edit screen, it means we probably hve to fill the information in all those metaboxes. So that’s what I did! The result is clear: besides being a repetitive process that doesn’t make much sense (does anything in this article make sense? 😅), it makes the editorial process of creating a post in WordPress much longer and more tedious. Full view of the post editor with an real post written and all metaboxes with the information filled in. So the advice here is to make sure you know what impact a plugin in your WordPress will have on the usability and user experience before you do activate it. Every additional metabox that forces us to do things makes the writers’ work a little bit more complex, so keep that in mind! If we now analyze the loading time of the real post, we see that now the transferred data has increased a lot. This makes total sense, as now our post includes multiple GIFs in its content. Load times of a real post with SEO plugins disabled. The difference in the loading time of the post with the plugins deactivated and the plugins activated is practically the same as with the default WordPress post. But in the case of this real post, the impact is relatively smaller as we’re now dealing with a heavier post. The impact on load time when activating the plugins has remained constant regardless of the post. Load times of a real post with all SEO plugins activated. You can see that TTFB activating the 6 SEO plugins for this post has a similar impact to the one it had for the WordPress default post. TTFB comparison of the real post with the plugins deactivated and activated. Let’s now go over the meta-information that SEO plugins add to the HTML of the post. Starting with SEO SQUIRRLY™, it includes the description, the keywords (although it repeats them, due to a conflict with other plugins) and the canonical URL. In addition to this it includes Dublin Core metadata about the post. Metadata added by the plugin Squirrly. The SEO Ultimate plugin adds Open Graph meta tags for social networks (if you want to know what they’re used for, check out this post by Ruth). Metadata added by the plugin SEO Ultimate. So does WP Meta SEO, which repeats Open Graph meta tags unnecessarily. You can already imagine that this can cause problems if we set different values in the different metaboxes. Metadata added by the plugin WP Meta SEO. The SEO Framework plugin adds a JSON-LD fragment with the breadcrumbs of the content to indicate that the article is within a category and the category within our website. In addition to this, it includes the NOYDIR directive (which is obsolete nowadays). Metadata added by the plugin The SEO Framework. Metadata added by the plugin All in One SEO Pack. Metadata added by the plugin All in One SEO Pack when enabling the Social Meta module. Metadata added by the plugin Yoast SEO. You’ll agree with me that repeated meta tags in the source code of our post is silly, as they can be contradictory and you won’t know which one (if any) will be parsed by social networks. Now imagine that we go to the configuration of these plugins and apply different settings in each of them. 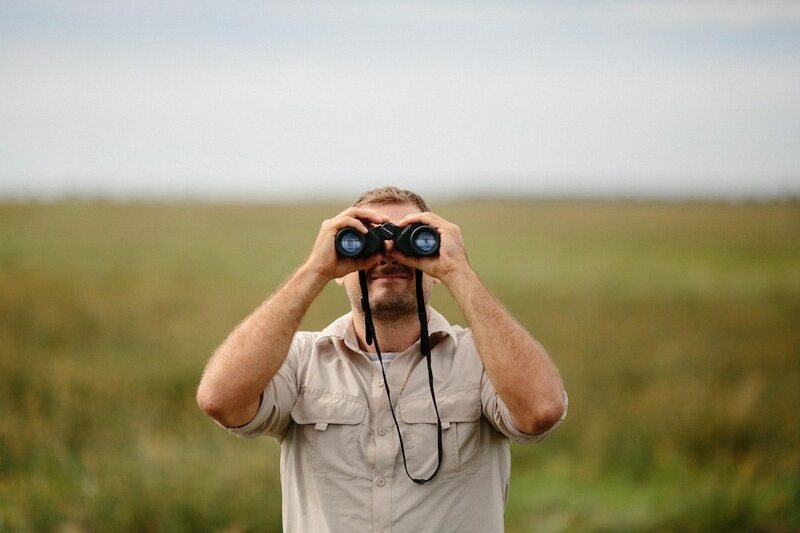 If we do this, we can drive search engines crazy! Throughout this article we have seen that installing plugins in WordPress has a negative impact on several aspects. Therefore, it makes no sense to install plugins with repeated functionality in WordPress. If you have two plugins activated in WordPress that do the same thing, you’re doing it wrong. You only need one. Virtual Diogenes syndrome is a reality, so fight it. Do not activate plugins in WordPress that add metaboxes to the content editor if you are not going to use those metaboxes. By doing this you complicate the user experience unnecessarily. Before installing a plugin in WordPress, make sure it is a plugin with a minimum of quality and that it does not break other plugins already installed. All this post is motivated by the fact that many times we have encountered client installations with problems caused by bad plugin management (repetitions, abandoned plugins, low quality ones, etc.). Believe it or not, this is much more common than we think. We hope that with this article we have contributed to solving the problem. Or at least to reducing it. Has it happened to you? Tell us in the comments below! We’d love to know that we’re not alone 😌. Featured image by Louis Blythe on Unsplash. I certainly agree that loading multiple plugins that do the same thing is futile at best. However, WP does add this confusion, because they allow you to install plugins without considering (or knowing) that you have a plugin that already does that thing. There are also programs like JetPack, where you might be using one feature, but not all of them, so then you go and load another you do like that may have a redundant feature. I do like SEO Framework because it is not blatantly annoying. It lets you do your work, quietly. I dislike Yoast because they just want to sell you the Premium version and they are going to visually blast you until you do. I have nothing against self-promotion, but when you look at the same blogging screens all day, it can be annoying. Awesome, I had a doubt for installing 2 SEO plugin. It’s little bit clear now. but still, I am confused. My question is: IF I INSTALL ONLY 2 SEO PLUGIN, IT WILL IMPACT IN GOOGLE RANKING? leave all other things load time and anything else. please reply. Never, ever, install two SEO plugins.